Gamewagon is hosting a series of super fun and educational Holiday Coding Camps this Easter. Helping nurture an interest in computer science and encourage creativity. The Game Wagon Junior Game Creator coding camps are being held during the Easter holidays at various locations. We have also reserved Mondays and Fridays for private workshops if you have 6-8 budding game creators and would prefer a private workshop for either a full day (10am to 3pm) or half a day (either 10am-12pm or 2pm-4pm). We provide all the equipment but you are welcome to use your own laptops if available and all the students need to bring is there creative genius! 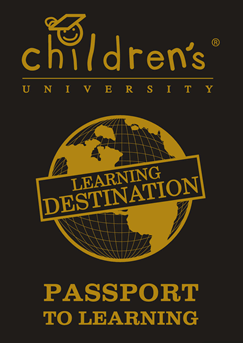 To book your child’s place Click Here and follow the link to your region. There are three levels and our facilitators will steer our game creators to the level of activity suitable for their interests, experience and age. Junior Game Creators : Workshops are focused on ages 8-12 and uses the popular Scratch development environment used by many schools. We just have very cool and exciting projects to work on that maintains interest and encourages creativity. We also provide our coders to LEVEL Up : Content for students aged 10-14 who have “mastered Scratch” (in their eyes anyway) and are ready to move onto industry standard development tools that can be used to publish games on many platforms such as android, iOS, PC, Mac and even Consoles! Python Game Design : Content moves away from block based coding and introduces students to game design using the popular programming language called Python. Aimed at ages 8-12, keyboard skills are a must and a real interest in taking their Scratch knowledge to another level. Our Game Experience Managers (GEMs) run the whole session and make sure everyone is involved. All you need is a budding game creator with an interest in video games and a packed lunch. You can book a single day or multiple days and the structure ensures that the sessions do not repeat. Each day challenges their creativity, coding and problem solving skills in a fun way. If you know a child, aged 8-12, who’d love to have a go at making their own games, these workshops are ideal. Just do not tell them it is educational! They get to analyse, make and play games of their very own. Our game creators are then challenged to create their own games (with guidance) and are given constructive feedback from the group to improve. By the end of the day they will have made 2-3 games of their very own to show you when they get home. Those that come for more than 1 day are likely to move onto making their very own games from scratch, they imagine it, plan it and make it (with our guidance and support). Follow this link – School Holiday Code Clubs and then follow the links to the location of your choice. If you have a group of budding Junior Game Creators of your own (6-8) then we can bring a private workshop to you. Click Here to enquire and we’ll give you a call, explain how it all works and then look at dates.